What makes a metro map well designed? 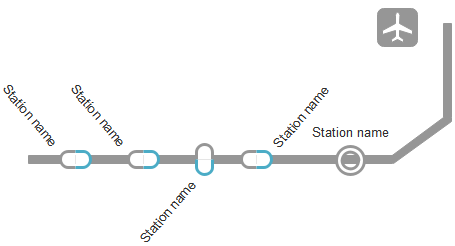 How to a really easy way to make lines with rounded corners like in a metro map? 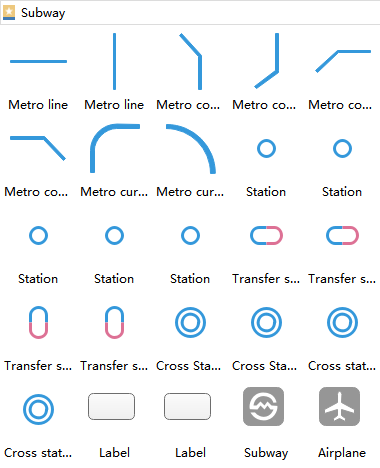 Edraw contains a wide set of metro map symbols for fast and easy creating various metro maps, route maps, metro path maps, transport schemes, subway train maps, and many other types of maps. It runs on Mac, Windows and Linux platforms, and supports cloud collaboration. Start with the exact metro map symbols you need - not just a blank screen. Then easily customize it to fit your needs. The whole process will be done only through dragging and dropping. You don't have to draw a single symbol on your own. Use it on your Windows, Mac or Linux OS, even view it in browser or mobile device. Whether you're in the office or on the go, you'll never be limited to view it that only works on certain machines again! If you are going to create a more complex metro map then it would be worth learning about 'styles' and 'symbols' so you could later change the appearance of all the lines, fill and intersections simply by changing the layer﻿. Edraw includes more symbols than other software. 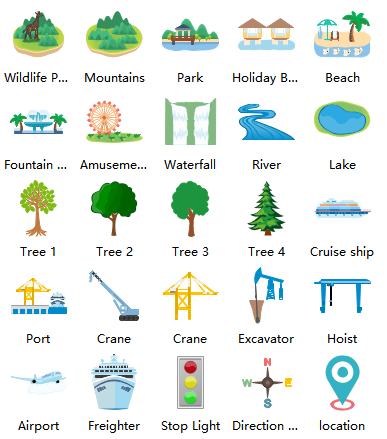 You get thousands of ready-made symbols for wildlife park, holiday bungalow, beach, waterfall, river, lake, port, airport and more. You can drag-and-drop location, stop light, direction sign, tree, flowers, house, crane, freighter and apply brick patterns and photo-realistic textures! 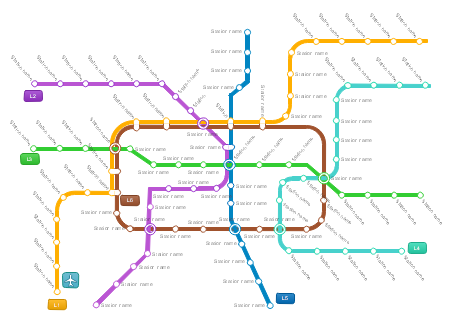 The Most Simple and Flexible Metro Map Software! 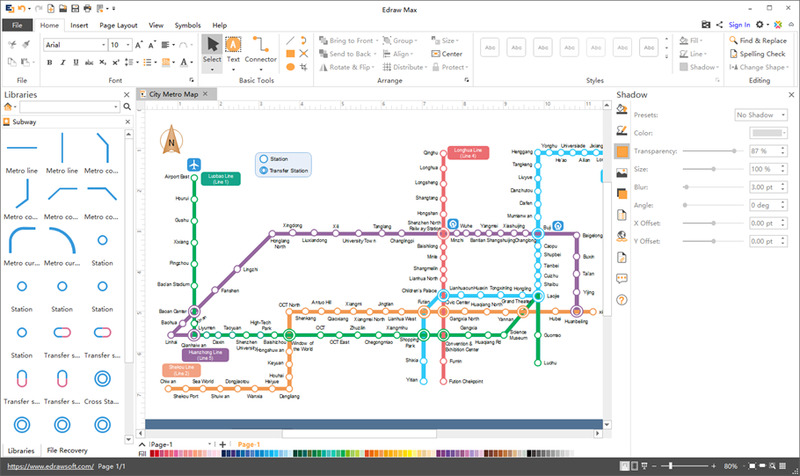 Enjoy creating Metro Maps on Mac and PC with this easy-to-use software. You'll be surprised by its abundant symbols and templates, amazed by how easy it works, and satisfied with the service and price. Try it today!